PVC’s: INEC accuses Gov. Bello of double registration – Royal Times of Nigeria. The Independent National Electoral Commission (INEC) has accused Kogi state governor, Yahaya Bello of registering twice for Permanent Voter Card, PVC as against the electoral law. INEC’s National Commissioner and Chairman, Information and Voter Education Committee (IVEC), Prince Solomon Soyebi in a statement said Bello’s second registration was on Tuesday at the Government House in Lokoja, outside the designated centre for ongoing nationwide Continuous Voter Registration (CVR). 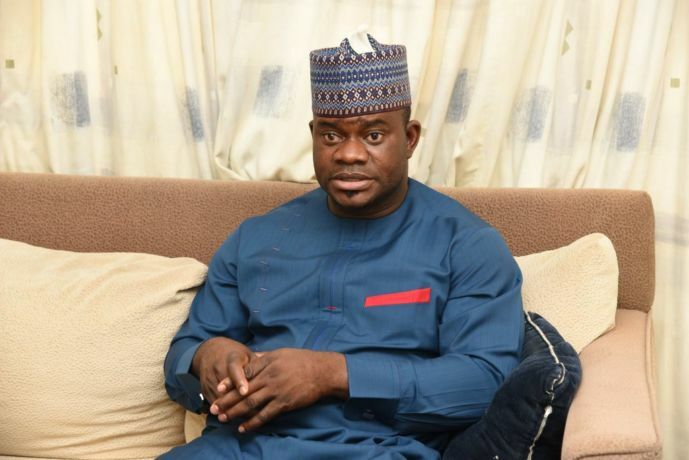 The statement reads; “It has come to the attention of INEC that Kogi State Governor Yahaya Bello registered as a voter for the second time on Tuesday May 23, at the Government House in Lokoja. “We wish clarify that no INEC worker was authorised to re-register Bello or any citizen, or to do so outside our designated registration centres. The commission, therefore, dissociates itself from the governor’s action, and promises to take disciplinary action against the staff who conducted Bello’s second registration. “As for the governor, Section 308 (l) (a) of the 1999 Constitution (as amended), precludes lNEC from prosecuting him while in office.